In a new report published by the FTC (pdf), the commission attempts to lay a new framework to protect the privacy of citizens and refreshes its own views on how to accomplish those goals. Some of the ideas outlined include Do Not Track, increased corporate transparency, more choices for consumers and promoting improved self-regulatory codes of conduct for businesses. The framework is not intended to be the basis for legislation, however the FTC does claim to support targeted privacy legislation similar to several data security bills introduced by the 112th congress. The FTC applauded current "Do Not Track" initiatives such as W3C's attempt at an global Do Not Track standard, but the governmental agency says there is much work left to be done. According to the report, the FTC plans to work with private standards bodies like W3C in order to implement an "easy-to-use, persistent and effective Do Not Track system". While discussing the need for greater transparency, the report points at big-time data brokers specifically. The FTC believes if an individual's information is stored by a company or shared with a third party, they should know about it. What companies know about you and which companies have that information should be traceable and visible to consumers. Additionally, the agency also calls for more consumer options but also stresses that choices should be presented via a simple to understand mechanism. 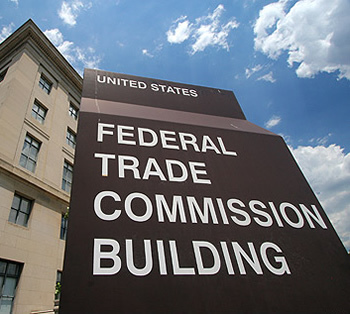 Based upon studies and feedback the FTC received, the presentation of choices, default choices, suggestions for common selections and even the timeliness of those options were all items that impacted consumers. Concerned about the ramifications of easily linking virtual identities to real people, the FTC also touches on facial recognition software, an allusion to the rapid technological progression responsible for periodically reinvigorating consumer privacy debates.